When I was contacted about reviewing a Babble Boxx I was curious because I had never heard of them before. As I read on I learned it was a sampling and review program. I received the health & wellness edition for January for the Revamp Your Routine products. I was so excited when I got the box, it was big and had lots of cute pink writing on it! I couldn't wait to open it! I was excited to check everything out and start using the products. I loved that there were little product cards for each of the items to learn a little more. 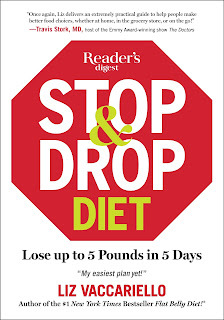 I was pleasantly surprised to find a hardcover book with the catchy title Stop & Drop Diet! Once I got everything unboxxed I was ready to start sampling! The first product that I tried was the Dickinson's Original Witch Hazel On-the-Go refreshingly clean towelettes. Twice a week I workout first thing in the morning, and lately I have been trying to add more. One of the things that I would forget to do is wash my face right away. After a few times I noticed that I was breaking out. The next morning workout I had after getting my BabbleBoxx I used one of these ready-to-go wipes right after my workout. It was so convenient, I just opened it up and wiped down my face, neck & chest. It was refreshing right after my sweaty workout and it dried nicely. I didn't even need to use a moisturizer after. If I were a gym goer, I workout in my basement, I would definitely have these travel size towelettes in my gym bag. These are something that I have been using regularly after my morning workouts and I haven't had any more breakouts! These wipes have helped me to revamp my post-workout face washing routine! 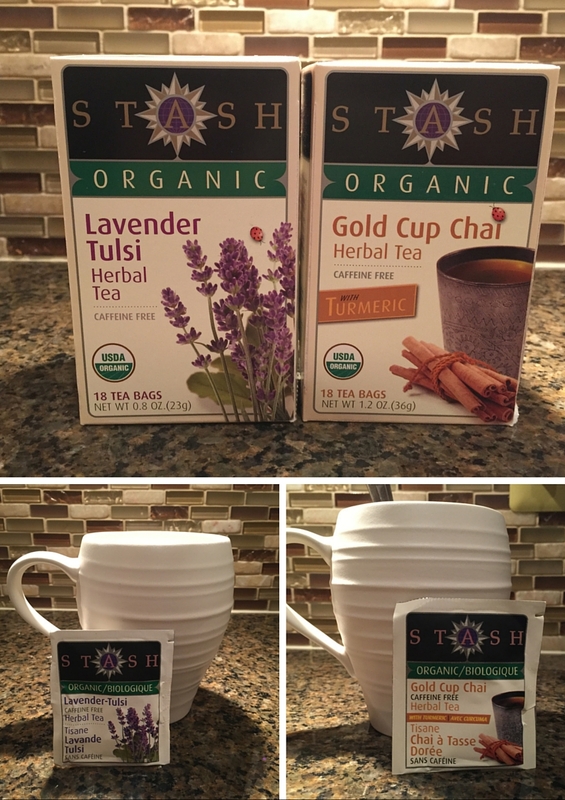 The next products I was excited to try was the Stash Tea. I have tried Stash before, but never these intriguing flavors. One night after coming in from playing with my daughter out in the snow I made her some hot chocolate, I'm not a big hot chocolate fan so I decided on a cup of the Gold Cup Chai with Turmeric. I have been reading a lot about the health benefits of turmeric and was curious to know how it tasted. I wasn't too sure of the chai, because I have had it before and wasn't a fan. However this tea was delicious! It was a little sweet and a little spicy, I added a little organic honey and it made it even better. I also loved that it was organic and caffeine free. I enjoyed the whole glass while it warmed me up. The second flavor was Organic Lavender Tulsi. I am a huge lavender fan and I use it in an essential oil form often, as it is so calming and relaxing. When I opened the tea bag I could smell the beautiful lavender aroma and was excited to try the tea. I was not disappointing, it was just as good as the Chai. It was comforting and relaxing and I enjoyed a cup while I was reading the Stop & Drop Diet book. These flavors have both become staples in my nightly routine, while I sit down at night to relax. Stash Tea is offering 15% Off your entire online order with the code BABBLE15 until February 12th. 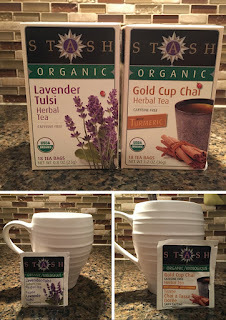 Head over to www.stashtea.com to order. Have you ever had that feeling that you have a cold coming on? It is a dreadful feeling and you don't have time to be sick? Well this is where Cold-eeze Plus Natural Multi-Symptom Relief Cold & Flu lozenges becomes your best friend! It helps to shorten your cold. This one is multi-symptom and also helps to relieve your cough, congestion and sore throat, score! It tastes great and dissolves easily, no chomping on these guys. I also love that there are no artificial colors or preservatives. I have been carrying these around in my purse for whenever I get that run-down, might be getting sick feeling. The Stop & Drop Diet book, was easy to read and was laid out so it was really easy to follow. It is a flexible plan that teaches readers easy ways to STOP eating the unhealthy foods they love and find a healthier version. I like that she has a kick starer plan with meal plans you can follow. For someone who is on the go and eats out a lot this plan will help you to make better choices at your favorite restaurants. However, for myself who rarely eats at the places mentioned in the book, they are not meal plans that I would follow. There are a lot of processed foods on the plans and I tend to eat and recommend more whole foods in their natural form. That being said, if you are someone who regularly eats at these places, this book lays out a plan on better choices. After the kick starter plan there is a steady loss plan. Again on this plan there are a lot of processed foods, although she does recommend some whole foods as well. There are better versions of unhealthy choices so again it can help. After the steady loss there is a maintain plan. It is similar to the other plans in what it is recommending, and there are some processed option and some whole food options as well. The last part of the book has a lot of great visuals, and this would be helpful when you are on the go and are looking for healthier options. Overall, it has good recommendations for most people who are on the Standard American Diet (SAD), but for someone who cooks most of their food at home and tries to limit processed foods, it is not the best plan. It does offer healthier versions, however I don't eat at fast food places and don't recommend that my clients do as well. It would be helpful to have so you know how to make some healthier swaps when you are on the go. You can find more information and the online companion guide at Stop & Drop Diet.com and you can visit EnrichU for the e-learning platform. Ahhhh, pancakes! These Birch Benders Gluten Free pancakes did not disappoint! My 4 year old loves pancakes and was excited for me to make these. They are made with organic and all natural ingredients so I can feel good about making them for her. The texture was not quite the same as a regular pancake, but the taste was great! We did top them with grass fed butter and some organic maple syrup as pancakes should be eaten. I do try to limit the amount of gluten in my diet so these would be a good mix into our breakfasts. I do caution those with a nut allergy to beware because they are made with hazelnut flour. I would recommend these to anyone who is looking for an easy to make gluten free pancake! 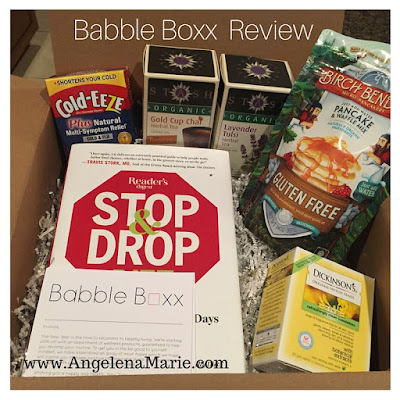 Overall I really enjoyed the the products that came in my Babble Boxx! It was nice to try out some new products that I might not have found on my own. You can find out more about BabbleBoxx on their website. This post was sponsored by BabbleBoxx.com on behalf of Single Edition Media, all opinions are my own.